But remember the cardinal rule: only work in the garden if the weather is good. Trampling on soggy soil will compact it and may damage plants or bulbs which are coming through. Here are my top jobs for February. When sowing vegetable seeds, it’s important to be organised ahead of time so that you don’t end up with any shortages or a glut of vegetables later down the line. Knowing what to sow and when to sow it means that you will be able to produce a continual supply. If you’re not sure on where to start, my handy veg planner will provide some recommendations. It is important to thin seedlings so that the plants do not compete with each other for nutrients. 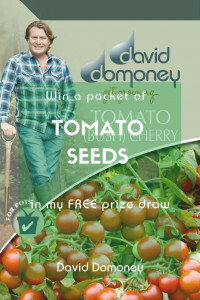 Aim to sow far away from established plants or tree so there is full supply or goodness for your new growers. 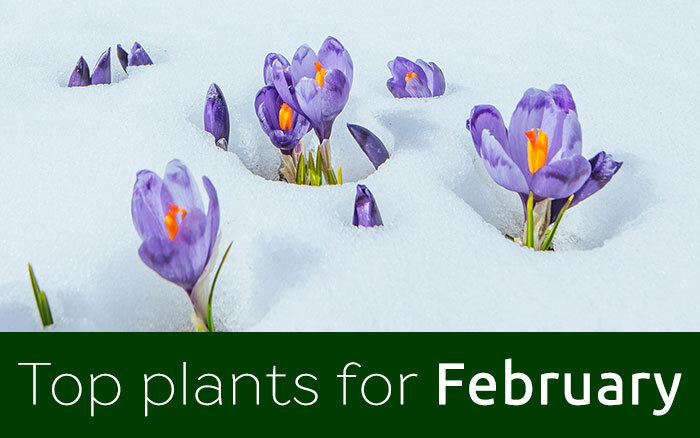 February sowing will need protection, so take this time to get a plan in place and give your soil some TLC. 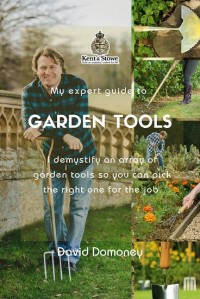 If you can’t wait to get going, start with sowing hardy veggies like broad beans in pots under cover or in a cold frame and planting out later in March. Garlic varieties like ‘Solent Wight’ and shallots cant be planted in light soils only, as heavy soils need longer to warm up. Many bulbs are able to multiply without any help from gardeners but you can also grow some of your favourite bulbs using techniques like scaling, bulbils, seed and division. 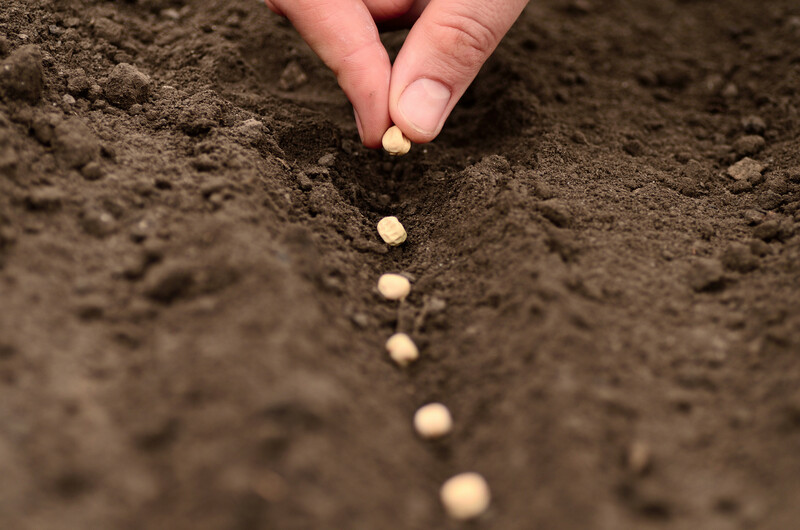 Seed is an easy method whereby you sow seeds from the parent plant and division describes the process of repotting offsets which naturally grow next to the parent plant. For spring splendour, Bulbils can be found in the leaf axils of some lilies including Lilium bulbiferum, which make a beautiful addition to any spring garden. 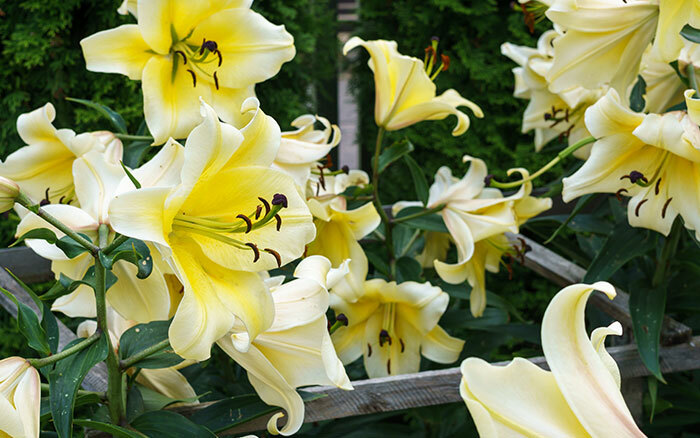 Plant lilies up until Spring for a bountiful bloom when the weather is hot. 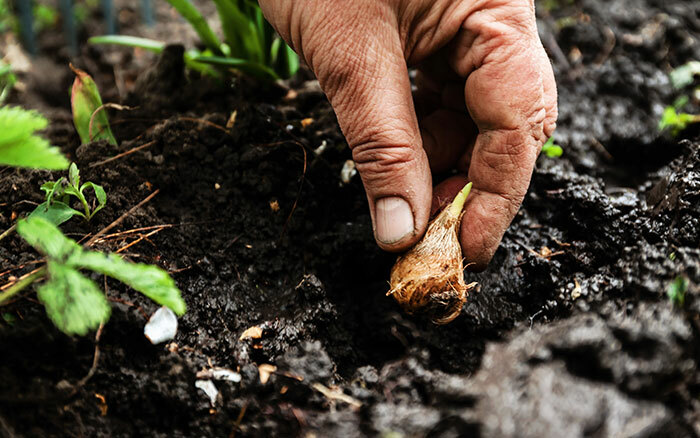 Don’t dilly-dally, lily bulbs won’t keep and it’s worth getting them in the ground sooner rather than later. Lily bulbs can be planted in pots on the patio after growing indoors or in a cool greenhouse, you’ll know you’re ready when they’re in flower. Lilies can also be forced to flower for an indoor display. This involves bringing the pot inside where it’s warm around six weeks after planting. If you want to bolster a well-established flower bed at no cost, you can divide perennials such as hardy geraniums and dianthus. Having formed new growth under last year’s leaves, you can dig these up and split them in two. Add a little compost to the soil before replanting and water well. If you’re looking for a planting project, what could be more rewarding then planting for wildlife. Having a combination of tall bushes and trees will provide shelter and nesting sites for birds and mammals—you can also introduce low flowering plants and shrubs to provide good ground cover. Having patches of uncut grass and wildflowers will encourage wildlife like small mammals, bees, butterflies and other insects into the garden. Choosing plants which flower, seed and bear fruit at different times of the year will give year round benefit for the animals in your garden. 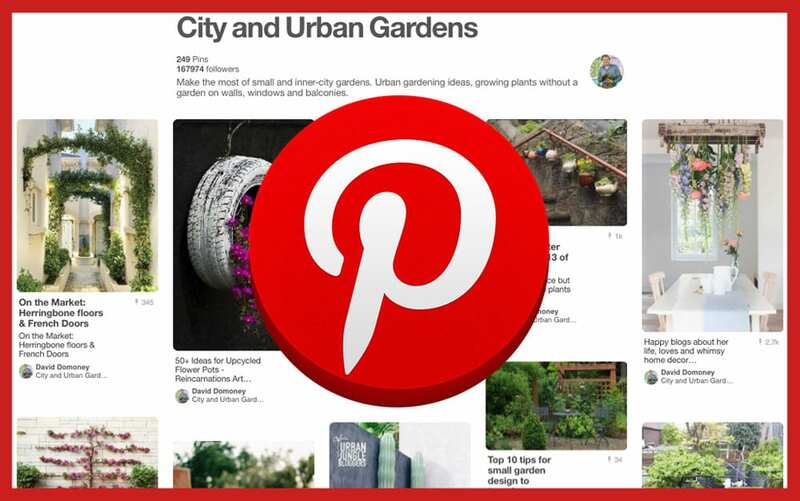 Build a space that gives different things at varied parts of the year. 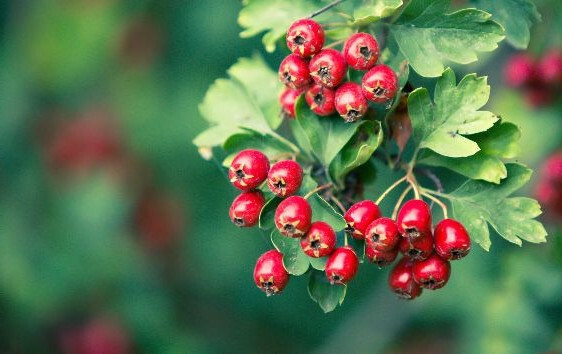 Berries and seeds are great during Autumn and Winter when birds need to build hibernation stores but plants, which provide nesting materials and cover, are useful during February so incorporate foliage like ivy and hawthorn. In Summer, Honeysuckle will invite insects into the garden—a great food source for our feathered friends. 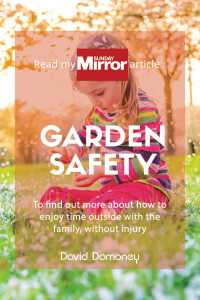 Careful consideration should be given if you choose to remove existing plants from the garden. Think about how it might impact existing wildlife, and whether what you’re hoping to replace it with will bring the same value. 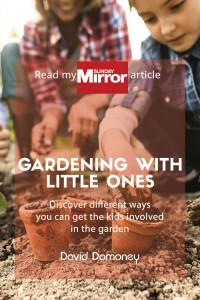 Thank you very informative I would just like to say watch where you put your feet as bulbs are just breaking through the ground, I love your tips and the way you explain what to do. Any tips on obtaining bee and butterfly friendly plants for free for a community gardening project? Thanks for your comment. In answer to your question, Yes! Get involved with the Cultivation Street community and you could be paired with an ambassador that could be excellent for your project. Very informative and comprehensive blog post! The way you write is lovely too. You’re completely right that February is filled with anticipation. Thanks for sharing!